Hello people of the internet!!! 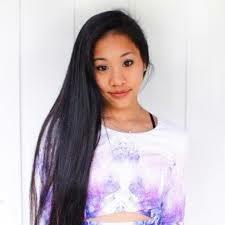 On today’s ‘YouTube Wednesday’ we’re going to discuss a YouTuber who constantly takes her channel to the next level. If you love channels that have a cool mix of adventure, discussion about social issues, & other varied content then you gotta check out Michelle Khare. This is definitely a channel that is never boring, & that you will want to visit again & again. So now let’s jump into the videos. Ready? Ok, let’s go!!! The 1st video we’re going to talk about is Michelle’s ‘How I Got An Internship At Google’ video, which was uploaded on September 8th, 2016. If you’ve ever wanted to intern at Google then this is the video for you! In this video Michelle explains how she got her internship, what it was like, & why she decided not to pursue a career at Google. I love that this video gives the viewer an honest view of how you can receive an internship at a major corporation, and what the job is really like. Next up we have her ‘I Trained Like Spider-Man For A Month’ video, which was uploaded on July 7th, 2017 (you can check out the video below). This is a really fun video that will show you what it really takes to be a superhero. In this video we get to see how difficult the training is to perform superhero stunts. After watching this video you will definitely have a much larger appreciation for everything stunt doubles do to bring our fav heroes to life. Now we’re going to discuss Michelle’s ‘I Carried 5 Gallons of Water for 2 Miles’ video, which was uploaded on March 22nd, 2018 (you can check out the video below ). This is definitely my favorite video on Michelle’s channel because of what an impact this video can make. In this video we see Michelle attempt to carry water for a long distance in a jug without a top. To make matters more difficult, she has to carry the jug over extremely rocky terrain, through streams, all while wearing flip flops. Unfortunately this is a realty for many women & girls that keeps them from going to school, and doing many other things to better themselves. I STRONGLY urge everyone to watch this video, because after you do, you will appreciate access to running water so much more. The last video we’re going to talk about is her ‘I Trained Like Miss USA for 60 Days’ video, which was uploaded on September 7th, 2018. This video was really fun to watch because in it Michelle not only shows how much training, sacrifice, time & money goes into pageants, but also discusses whether pageants are a positive or negative thing for women. It’s interesting to hear different perspectives on the topic, & to even see how Michelle’s perspective shifts a but after she experiences a pageant. If you’ve ever wondered why women sacrifice so much for the pageant life then this video will definitely show what happens behind the curtain. All photos and information used in this blog belong to YouTube, Twitter, Instagram, Facebook, Michelle Khare, jdrenes.com, and all companies, individuals, corporations, managers, writers, producers, authors, publishers, and/or businesses that should receive credit for any book(s), mentioned in this blog post, all of the and all companies, individuals, corporations, managers, writers, producers, and/or businesses that should receive credit for anything mentioned in this blog post, and all original owners. I do not own anything in this blog. If any people, corporations, businesses, companies, etc, were not previously given credit for their work, they are given credit now and their previous absence was unintentional. All opinions expressed in this blog are my own. I wrote this blog for entertainment purposes and no copyright infringement is intended. 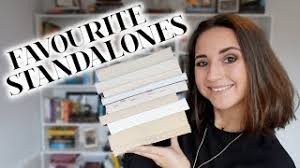 celindareyesblog September 27, 2018 No Comments on YouTube Wednesday: Michelle Khare…the YouTuber that will take on any adventure. Category: YouTube Wednesday. Tagged: 2018, adventure, beauty, challange, commentary, facebook, fashion, fitness, health, instagram, Michelle Khare, new, social, twitter, video, youtube. Hello people of the internet!!! On today’s ‘YouTube Wednesday’ we’re going to discuss an amazing YouTube guru that you need to subscribe to now (like literally go subscribe right now, I’ll wait right here for you. Everyone done? Good, then let’s continue!). If you love watching gurus that are entertaining, knowledgeable, and unique YouTubers then you’re going to love Ellie Kodia’s (aka Ellko) channel. In a little over a year Ellie has obtained 422,700 subscribers, and 56,045,021 total channel views (so obviously this is a CAN’T MISS channel). So now let’s get to the part you came for, the videos. Ready? Ok, let’s go!!! The first video that we’re going to talk about is Ellie’s ‘Mascara Tournament’ video, which was uploaded on August 10th, 2014. In this video we are able to not only see how knowledgeable Ellie is about beauty products, but also get a small glimpse of how naturally gifted she is as an on-camera talent. If you want to check out an amazing, entertaining video that will help you decide what mascara you should try next, then this is the perfect video for you. The next video that we’re going to discuss is Ellie’s ‘Beauty Hacks: Fail or Holy Grail? Red Lipstick Concealer, which was uploaded on February 6th, 2015 (you can check out the video below). This is one of the many awesome videos that Ellie has in her channel’s show ‘Beauty Hacks: Fail or Holy Grail’. In this show Ellie tries different internet beauty hacks and let’s us know if it works or not. So if you want to know whether or not you should try an internet beauty hack, then this is the show you’ve been waiting for. The next video that we’re going to talk about is Ellie’s ‘Dia&Co Unboxing Haul & Try On’ video, which was uploaded on August 27th, 2015. In this video we not only get introduce to an awesome subscription site, but also get a sense of Ellie’s personal style (on a side note if you love fashion & wear a size 10-32 then you’ll want to check this site out). In this video Ellie explains why she loves this subscription service, and even models the clothes so you can get a sense of how they fit. If you love fashion then you HAVE to watch this video. The final video that we’re going to talk about is Ellie’s ‘Art Haul: My Agnes Cecile Print Collection’, which was uploaded on February 17th, 2016 (you can check out this video below). I chose this video as the last one that we’re going to discuss because I thought that the subject matter was very unique and intriguing. I love it when beauty gurus use their amazing sense of style in unexpected avenues. It’s videos like this that show how different Ellie is from other beauty/fashion gurus, because she is able to add that special something that makes each video an Ellie original. •All photos and information used in this blog belong to YouTube, Ellie Kodia, Ellko, ellkoNYC, Dia&Co, Agnes Cecil, Beauty Hacks: Fail or Holy Grail, Twitter, Instagram, Tumblr, Facebook, and all products, companies, individuals, corporations, managers, writers, producers, and/or businesses that should receive credit for anything mentioned in this blog post or the videos mentioned and/or featured in this post, and all original owners. I do not own anything in this blog. If any people, corporations, businesses, companies, etc, were not previously given credit for their work, they are given credit now and their previous absence was unintentional. All opinions expressed in this blog are my own. I wrote this blog for entertainment purposes and no copyright infringement is intended. celindareyesblog February 19, 2016 No Comments on YouTube Wednesday: Ellko…the beauty/lifestyle guru that you NEED to be subscribed to in 2016. Category: YouTube Wednesday. Tagged: 2014, 2015, 2016, Agnes Cecil, beauty, Beauty Hacks: Fail or Holy Grail, Dia&Co, Ellie Kodia, Ellko, ellkoNYC, facebook, fall, fashion, fitness, haul, health, instagram, internet, OOTD, OOTW, shopping, spring, summer, tumblr, twitter, viral, winter, youtube, youtuber. Hello people of the internet!!! On today’s ‘YouTube Wednesday’ we’re going to talk about an awesome beauty/fashion guru that you’ll need to subscribe to right now! 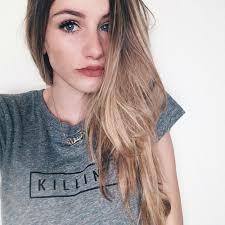 If you haven’t heard of Sophie Foster then keep reading to learn all about the YouTuber that all your friends will soon be obsessed with. Ready? Ok, let’s go!!! The first video that we’re going to talk about is Sophie’s ‘Introduction Video’, which was uploaded on August 26th, 2013. The reason why I wanted to mention this video, is because it not only shows you what you should expect from this channel, but it also shows us how far Sophie has come as an entertainer. It’s interesting to see our fav YouTuber’s first videos because it just reaffirms that they really are just regular people with extraordinary talent. Next up we have Sophie’s ‘My Morning Routine’ video, which was uploaded on May 23rd, 2014 (you can check out the video below). Morning routines can be really interesting to watch because you get cool tips & tricks regarding makeup, hair, food, and so much more! If you want inspiration to make your morning even more fun then you should definitely check out this video. The next video that we’re going to talk about is Sophie ‘How To Have The BEST Concert Experience’, which was uploaded on May 31st, 2015 (you can check out this video below). Whether you’re preparing to go to your 1st concert or you’re a concert veteran, this is the video for you! In this video Sophie talks about outfit & makeup suggestions, what to/what not to bring/do, & a lot of other essential information that you should know in order to have the best time possible. The final video that we’re going to talk about is Sophie’s ‘Purple Smokey Glam Makeup Tutorial’, which was uploaded on January 17th, 2016. If you want a step-by step explanation on how to get an amazing smokey eye look that will make you stand out, then you gotta check out this tutorial. •All photos and information used in this blog belong to YouTube, Sophie Foster, and all companies, individuals, corporations, managers, writers, producers, and/or businesses that should receive credit for anything mentioned in this blog post or the videos mentioned and/or featured in this post, and all original owners. I do not own anything in this blog. If any people, corporations, businesses, companies, etc, were not previously given credit for their work, they are given credit now and their previous absence was unintentional. All opinions expressed in this blog are my own. I wrote this blog for entertainment purposes and no copyright infringement is intended. celindareyesblog January 23, 2016 No Comments on YouTube Wednesday: Sophie Foster…your newest fav beauty/fashion/lifestyle guru. Category: YouTube Wednesday. Tagged: 2013, 2014, 2015, 2016, amazing, beauty, clothes, concert, cool, facebook, fall, fan, Fandom, fashion, foster, fun, hair, instagram, makeup, music, new, OOTD, OOTW, Smokey eye, sophie, spring, summer, twitter, winter, youtube, youtuber. Hello people of the internet!!! On today’s ‘YouTube Wednesday’ we are going to talk about an amazing YouTube beauty/fashion guru that you just gotta check out. 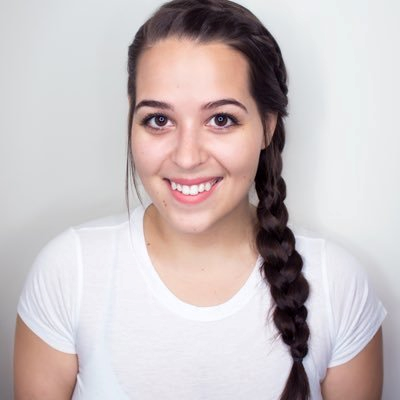 If you love YouTubers that are entertaining, and have cool and interesting videos then you gotta check out FearlesslyJulia’s channel. If you watch enough hours of YouTube then you know that there are many amazing beauty/fashion gurus on YouTube, that it can be hard to decide which channels to watch (I mean we do have to divide our time between Netflix binges and sleeping, so we have to use our time wisely). If you want to discover a new channel that you will replay over and over then please keep reading. Ready? Ok, let’s go!!! The first video that we’re going to talk about is Julia’s ‘Decorating my Room for Christmas! + DIY Decorative Pillows 🎄’ video, which was uploaded on November 13th, 2014. Now I know that Christmas has already passed but it’s never too late to get ready for next year. Right? Right! If you want to learn how to turn your room into a winter wonderland, and create very cute pillows that you will want to use all year, then you gotta check out this video. Next up we have Julia’s ‘Easter Hair, Makeup, & Outfit Ideas 2015!’ video which was uploaded on March 28th, 2015 (you can check out this video below). If you want to look super cute this Easter then you have to watch this video. Julia gives her audience amazing and detailed tips & tricks that you can use to not only be Insstagram ready for Easter, but all spring long. Now we’re going discuss Julia’s ‘Fall Clothing Haul 2015! 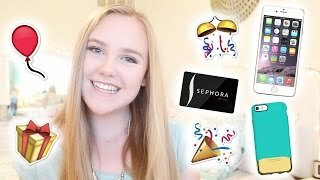 Forever 21, Urban Outfitters, Brandy Melville & more!’, which was uploaded on August 29th, 2015 (you can check out the video below). Now y’all know that there had to be a haul in this post because haul’s are amazing. Now that Christmas has come and past, we either have no money left, or we have money and gift cards from Santa. The great thing about hauls is that we can check out what other people buy, and know where all the cute stuff is. Also, it’s never to early to start your Christmas list for next year…just saying. 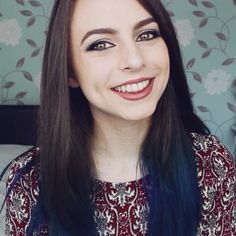 The final video that we’re going to talk about is Julia’s ‘Winter Morning Routine 2015’, which was uploaded on November 14th, 2015. It’s a lot of fun to see our fav YouTubers morning/night routines because it makes us feel more connected to them. It’s cool to see that our fav gurus watch Netflix like us, stalk people on social media (oh you know you do that too…yeah you the one shaking their head, yup, you know you’re a professional social media stalker). If you want to learn a little more about Julia’s life then definitely give this video a try. All photos and information used in this blog belong to YouTube, FearlesslyJulia, YouTube, Twitter, Instagram, Forever 21, Urban Outfitters, Brandy Melville, and all companies, individuals, corporations, managers, writers, producers, and/or businesses that should receive credit for anything mentioned in this blog post or the videos mentioned and/or featured in this post, and all original owners. I do not own anything in this blog. If any people, corporations, businesses, companies, etc, were not previously given credit for their work, they are given credit now and their previous absence was unintentional. All opinions expressed in this blog are my own. I wrote this blog for entertainment purposes and no copyright infringement is intended. celindareyesblog December 27, 2015 No Comments on YouTube Wednesday: FearlesslyJulia…the beauty/fashion guru that you will be watching all winter break. Category: YouTube Wednesday. Tagged: 2015, 2016, amazing, beauty, Brandy Melville, christmas, clothes, DIY, easter, fall, fashion, FearlesslyJulia, forever 21, fun, gifts, haul, holiday, instagram, internet, makeup, merry, new, presents, spring, summer, twitter, Urban Outfitters, winter, youtube. Hello people of the internet!!! On today’s ‘Monday Memos’ we’re going to talk about the official color (or should I say colors) of 2016. If you love pink and blue then get ready to be very happy because the official colors of 2016 are Rose Quartz (which is a hue of pink), and Serenity (which is a blue). According to the Pantone website, this is the 1st time that 2 colors have been choose as the official color of the year. So if you want to learn why these really cute colors were chosen then keep reading. Ready? Ok, let’s go!!! 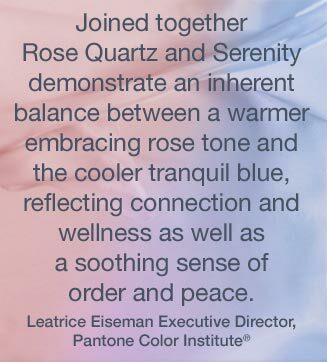 According to the Pantone website, “Rose Quartz and Serenity demonstrate an inherent balance between a warmer embracing rose tone and the cooler tranquil blue, reflecting connection and wellness as well as a soothing sense of order and peace”. The website goes on to describe the colors as the following: “Rose Quartz is a persuasive yet gentle tone that conveys compassion and a sense of composure. Serenity is weightless and airy, like the expanse of the blue sky above us, bringing feelings of respite and relaxation even in turbulent times.” I’m really excited to see what beauty and fashion trends will be inspired by these colors! Pantone’s website also says that it chose these colors in order to show how fashion is blurring gender lines by not stereotyping one color as more appropriate for a specific gender (which basically means blue is no longer “only” for boys, and pink is no longer “only” for girls). I think that this is a very cool idea because the fashion and beauty industry is increasingly becoming more and more diverse so it seems only right that the color(s) of the year reflect that. Needless to say 2016 is off to a great start, and will definitely give us so much to look forward to and even more to put on Instagram and Pinterest. I can’t wait! What do you think people of the internet? Let me know in the comments below! All photos and information used in this blog belong to Pantone Color Institute, pantone.com, Leatrice Eiseman, Instagram, Pinterestall other people, corporations, businesses, companies that are associated in any way, shape, or form with any of the companies and/or products mentioned, and all other original owners. I do not own anything in this blog. All opinions and commentary are my own. If any people, corporations, businesses, companies, etc, were not previously given credit for their work, they are given credit now and their previous absence was unintentional. All opinions expressed in this blog are my own. I wrote this blog for entertainment purposes and no copyright infringement is intended. celindareyesblog December 15, 2015 1 Comment on Monday Memos: The 2016 Pantone Color of the Year is all about breaking gender stereotypes. Category: Monday Memos. Tagged: 2015, 2016, amazing, beautiful, beauty, blog, blue, color of the year, fall, fashion, instagram, internet, Leatrice Eiseman, new, OOTD, OOTW, Pantone Color Institute, pantone.com, pink, pinterest, post, rose quartz, serenity, spring, style, summer, winter.